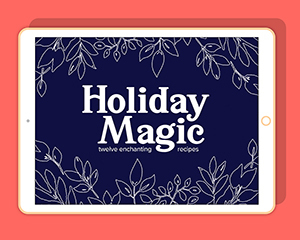 Our FREE eBook has 12 enchanting recipes to help make your holiday season magical. Success! Now check your email to confirm your subscription and grab your eBook. Welcome! I’m Marianne, a chef turned mom. I used to come up with dishes like this for my restaurant menu. Now I’m making these seasonally inspired recipes for my family and so happy to share them with you.